Aretha Franklin will sing at Whitney Houston’s funeral. Other stars are expected to attend the ceremony. Aretha Franklin, Whitney Houston’s godmother, has been asked to sing at the singer’s funeral, Franklin’s spokeswoman said. 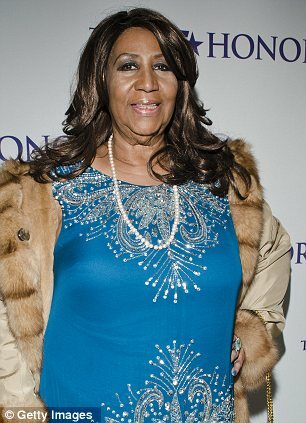 According to CNN.com other stars confirmed on the guest list are Chaka Khan, Bebe & CeCe Winans, songwriter Diane Warren, the Rev. Jesse Jackson, pop singer Darlene Love, Bishop T.D. Jakes, Antonio L.A. Reid, Ray J and Brandy. One person expected not to attend the funeral, which will take place at 12:00 p.m. EST, in Newark’s New Hope Baptist Church, is Bobby Brown, who family members are said to have told that he is not welcome. It has also been claimed that Whitney Houston’s mother Cissy is doing her best to stop the singer’s ex-husband Bobby Brown from getting closer to their daughter Bobbi Kristina, for fear it is a ploy to get his hands on Whitney’s fortune. A source told TMZ.com that friends of the family have contacted Bobby Brown to tell him he’s not welcome at her funeral, and should not increase his part in Bobbi Kristina’s life. However, a friend of Bobby Brown’s is said to have told TMZ that Bobby is keen to “bury the hatchet for the sake of his daughter”. who is whitney houston's godmother? aretha or darlene love?